The partnership will promote next- generation, environmental stewardship in Nigeria by fostering advocacy and awareness of needs for natural resource protection at local and national land sites. It will also provide opportunities for youth employment and internships that will lay a foundation for future appointments in the domestic and international natural resource management sector. An upcoming pilot project will train three IITA interns who in turn will reach over 2500 elementary school students during the first year of the program. GYF will work with IITA to customize its existing Forever Green curriculum and train IITA interns to present lessons at local schools in the project areas in Ekiti, Oyo, and Osun states. Environmental education materials include such topics as recycling, sustainable forestry and agricultural practices, connections with the natural environment, climate change, and natural resource management careers. Once trained, interns will be certified and authorized to deliver the curriculum materials. To finalize the learning exchange, certified teachers will travel to Atlanta, Georgia, USA, for a month-long internship, where they will work with their American counterparts to co- teach the curriculum in the US. 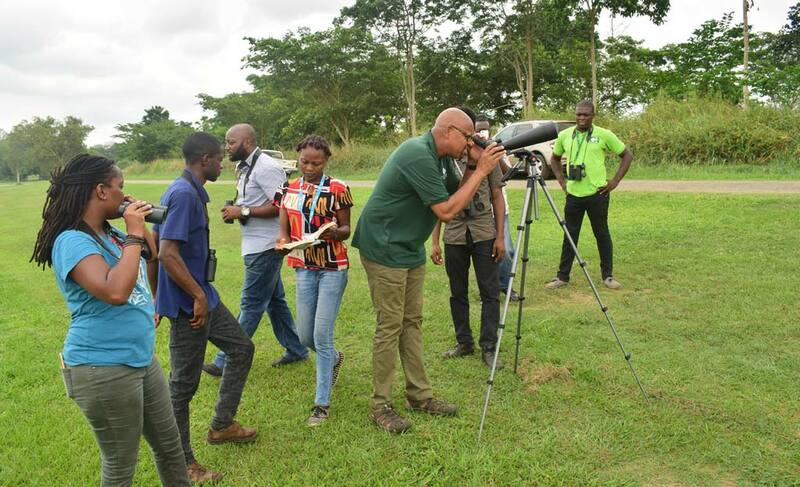 At the completion of the knowledge exchange, IITA interns will be fully equipped to deliver the West African version of the curriculum in Nigeria or other countries. The pilot of the program is planned to start in January 2019. The Greening Youth Foundation is a national leader in connecting young people from socially and economically disadvantaged backgrounds to natural resource management careers across the United States. GYF provides programming to over 5000 children, youth, and young adults annually, and manages over 500 interns and service crew members on projects in 48 US states and the Pacific Islands. The Foundation currently maintains its headquarters in Atlanta, Georgia, with satellite offices in Arlington, Virginia, and Ikoyi, Nigeria (West Africa). Semi-Autotrophic Hydroponic technology works with yam too!